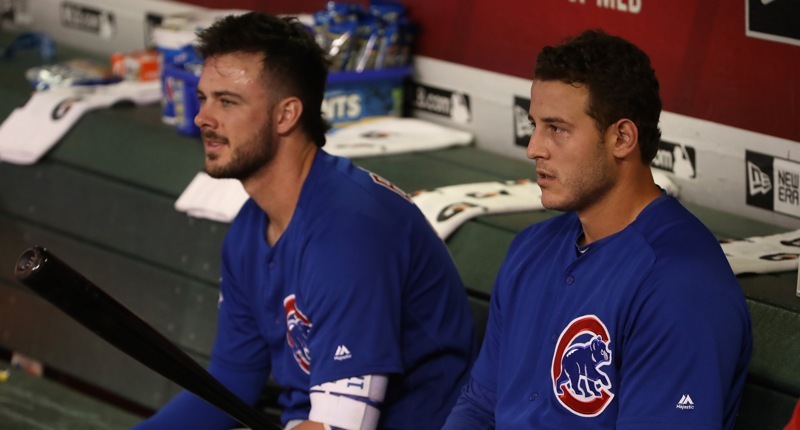 Bryzzo is Struggling Equally, But in Different Ways – What's the Story with Anthony Rizzo? 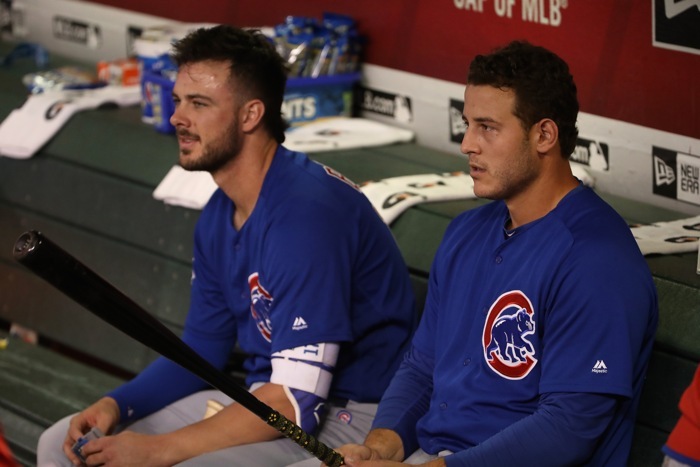 Bryzzo is Struggling Equally, But in Different Ways – What’s the Story with Anthony Rizzo? 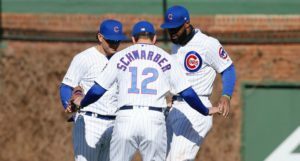 Although Kris Bryant has received the bulk of the “oh man, what’s wrong” chatter this early season, his partner in the Bryzzo Souvenir Company hasn’t been generating a lot of take-home merchandise either. 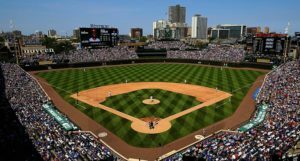 With Bryant, as we’ve discussed, the issue seems to be about timing and mechanics at the plate, resulting in foul balls, whiffs, and groundballs. For Rizzo, the issues are a little different. 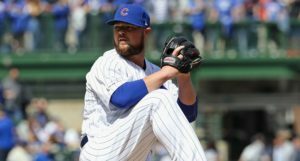 His strikeout rate is up some seven percentage points, which isn’t good, but his walk rate is also up six percentage points, so maybe he’s just taking too many pitches? Well, sure enough, his swing rate is down over four percentage points, including a whopping 10.5 percentage points in the strike zone! So, that’s definitely one thing here in the early small sample for Rizzo. But then there’s also the quality of his contact, which, on first blush looks fine, because he’s hitting a lot of fly balls and has a huge hard contact rate. But how does he have a ridiculous .167 BABIP and only four extra-base hits? 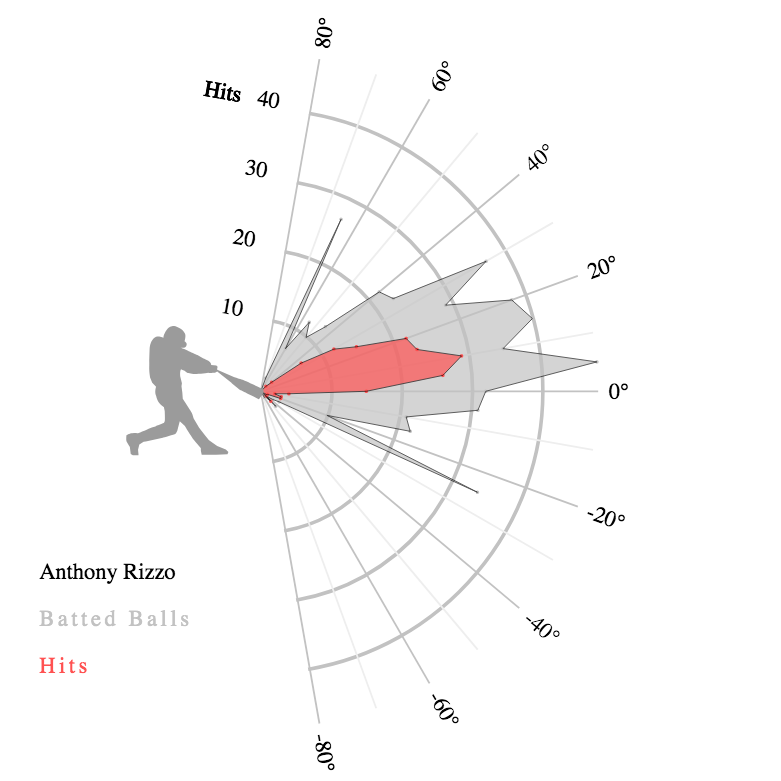 Well, the thing is, Rizzo is hitting the ball as hard as he ever has, but his launch angle has grown too steep on those well-struck balls. Well, I suspect, anyway. Rizzo’s launch angle this year is 18.2 on average, which is up 4 degrees from last year, and is actually a *great* launch angle. For example, in his huge 2015 season, his average launch angle was 17.3 degrees. This can be a good range for him! 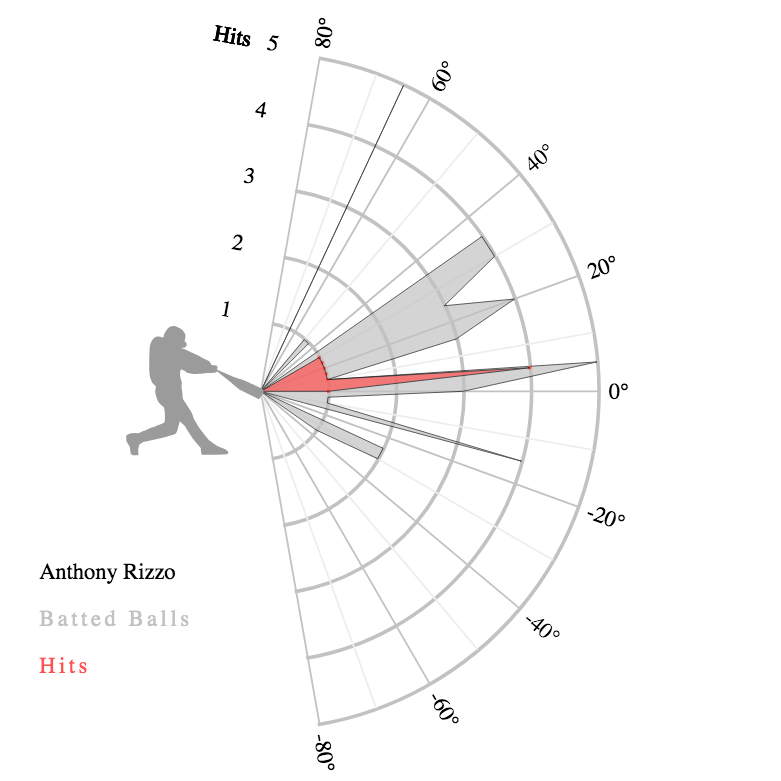 Not too hard to surmise that Rizzo just isn’t squaring the ball up right now in the way he can. So that’s your explanation for the early struggles (probably plus some bad luck). Ultimately, as with Bryant, I’m far from *worried* yet about Rizzo, who may have seen some modest decline as he approaches 30, but is so consistent at the plate if you give him a large enough sample. 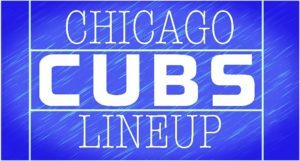 Like Bryant, if Rizzo’s not hurt, then I’m not worried. These guys are too good, too established, and too nimble for me to think that any two week sample is fundamentally indicative of broad problems. Instead, it’s just performance to describe and information to note. None of it has predictive value right now.